Zuzana Licko’s goal for Fairplex was to create a text face which would achieve legibility by avoiding contrast, especially in the Book weight. As a result of its low contrast, the Fairplex Book weight is somewhat reminiscent of a sans serif, yet the slight serifs preserve the recognition of serif letterforms. 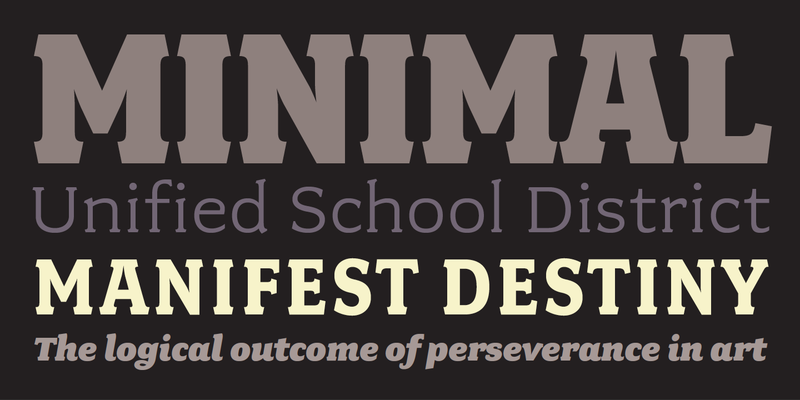 When creating the accompanying weights, the challenge was to balance the contrast and stem weight with the serifs. To provide a comprehensive family, Licko wanted the boldest weight to be quite heavy. This meant that the Black weight would need more contrast than the Book weight in order to avoid clogging up. 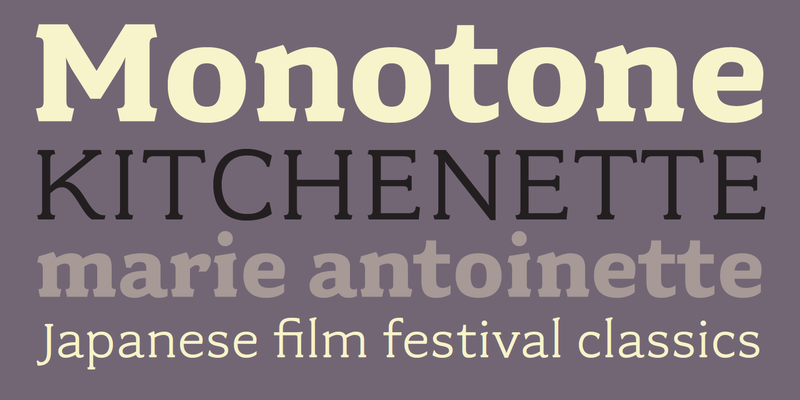 But harmonizing the serifs proved difficult. The initial serif treatments she tried didn't stand up to the robust character of the Black weight. The issue was solved after Licko attended a talk by Alastair Johnston on his book Alphabets to Order, a survey of nineteenth century type specimens. Johnston pointed out that slab serifs (also known as “Egyptians”) are really more of a variation on sans serifs than on serif designs. In other words, slab serif type is more akin to sans-serif type with serifs added on than it is to a version of serif type. This sparked the idea that the solution to her serif problem for Fairplex Black might be a slab serif treatment. After all, the Book weight already shared features of sans-serif types. The intermediate weights were then derived by interpolating the Book and Black, with the exception of several characters, such as the “n,” which required specially designed features to avoid collisions of serifs, and to yield a pleasing weight balance. A range of weights was interpolated before deciding on the Medium and Bold weights. 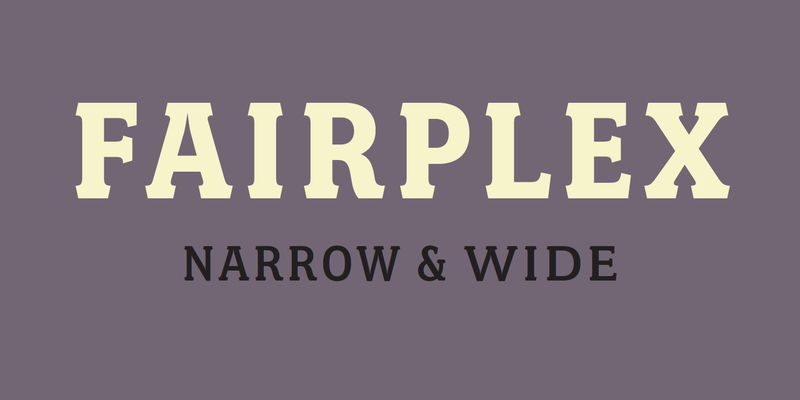 For more information about Fairplex, download the free type specimen.